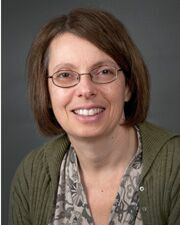 Anne Davidson, MBBS, is professor of Molecular Medicine at the Donald and Barbara Zucker School of Medicine at Hofstra/Northwell and investigator at the Feinstein Institutes for Medical Research. She received her MBBS degree from the University of Melbourne, Australia and is a board certified Rheumatologist. She is currently the program director of the Rheumatology fellowship at Northwell Health. Dr. Davidson is a member of the medical advisory board for the NY SLE Foundation and co-chairs the grant review committee of the animal models subsection for the Lupus Research Institute. She is currently the chair of the scientific advisory council for the Rheumatology Research Foundation. The current interests of Dr. Davidson’s laboratory are focused on pathogenesis and therapy of SLE, an autoimmune disease affecting women of childbearing years. Production of autoantibodies directed against ubiquitous cellular components, such as DNA and other nuclear antigens, results in formation of immune complexes that can deposit in target tissues and initiate inflammation that causes organ damage. Other immune cells also become activated and contribute to the inflammatory process. The first goal of the laboratory is to understand more about the regulation of autoantibody producing B cells and to use newly-discovered pathways of immune activation to design and test novel therapies for SLE. New therapies for SLE have become possible with the discovery that the activation of T cells requires two signals. The first signal is based on recognition of a specific antigen. The second signal is based on a conserved set of molecules on the surface of T cells called co-stimulatory receptors. When these are engaged by the appropriate co-stimulatory ligand in the presence of signal 1, cell activation proceeds. B cells also receive co-stimulatory or survival signals that synergize with signals received through the B cell receptor. Drugs based on modulating the effects of co-stimulation can therefore prevent or alter activation of both T and B cells. Several co-stimulatory agents are being used in the laboratory in three different mouse models of SLE, including one model of proliferative nephritis, one model of sclerosing kidney disease and a model of anti-phospholipid syndrome. Mice with knock-in of anti-DNA and anti-cardiolipin heavy chains have been bred into these models to allow study of the effects of treatment on B cell selection. The second goal of the laboratory is to understand the role of co-stimulatory molecules in target organ inflammation. Co-stimulatory receptors are involved in trafficking of immune cells to target organs. Normally, immune cells are sequestered in the lymphoid organs, such as the spleen and lymph nodes. When they traffic to a non-lymphoid organ, such as the kidney, they can induce inflammation. Recent work therefore focuses on lupus nephritis and the role of immune cell activation in kidney damage so as to understand the molecular basis for cell migration to the kidney and for resolution of inflammation after remission inducing therapies. In collaboration with Nephrologists at Mount Sinai and University of Michigan, the laboratory has constructed a molecular profile of renal inflammation and remission that has generated several testable hypotheses. Further studies will address whether similar profiles are found in human SLE. Finally, translational studies are being performed in the setting of clinical trials to determine the efficacy and mechanism of action of new biologic agents that target immune activation in humans. Research: My research work focuses on the pathogenesis of SLE, and the mechanism of action of novel co-stimulatory molecules on the immune system both in murine models and patients with SLE. Triantafyllopoulou A, Franzke C-W, Seshan S V, Perino G,. Kalliolias G D, Ramanujam M, van Rooijen N, Davidson A, and L B Ivashkiv. “Proliferative lesions and metalloproteinase activity in murine lupus nephritis mediated by type I interferons and macrophages.” Proc. Natl. Acad. Sci. 107(7):3012-7 2010.